In the aftermath of the Volkswagen emissions-cheating scandal, carmakers ― both foreign and domestic ― are rushing to introduce more environmentally friendly cars, in particular, plug-in hybrid electric vehicles, next year. “Of course it would be more eco-friendly if we could have the full-electric vehicles because they emit no greenhouse gas at all. But given the situation that EVs are pricier and generally cannot run a long distance on a single charge, PHEVs are considered the optimal product in the Korean market at the moment,” an industrial pundit said. Korean auto giant Hyundai Motor is expected to lead the trend, with the launch of its new brand of electric vehicles scheduled for January. Known by its tentative project name, “AE,” the first model of Hyundai’s new green car brand will be first introduced as a hybrid electric vehicle, followed by PHEV and full-EV editions, aiming to become the world’s first green car with HEV, PHEV and EV types. Hyundai believes that AE will outperform its global competitor ― Toyota’s Prius, which currently marks 21 kilometers per liter in combined fuel efficiency. The five-door hatchback will be equipped with a 1.6-liter Cappa gasoline direct injection engine, an electric motor and transmission tailored for the hybrid models. Hyundai already began testing the waters with its Sonata PHEV in September. The model will also be out in the U.S. market next year. The Sonata PHEV has received positive reviews so far for running in both EV and hybrid modes. Its powertrain ― a hybrid-only direct injection engine ― boasts 156 horsepower. Added with the 9.8-kilowatt-hour lithium ion polymer battery and a 50-kilowatt electric motor, the power output increases to 205 horsepower. The car also boasts 17.2 kilometers per liter in fuel mileage when running in HEV mode, and the EV mode reported 4.6 kilometers per kilowatt hour. A six-speed automatic transmission is added to bring the fun factor to driving. Hyundai Motor Group vice chairman Chung Eui-sun earlier this year declared the PHEV as the answer to the future survival of the company and the industry. Global juggernauts are expected to join the competition. German carmaker BMW will release PHEV types of its X5, 3-series and 7-series here in 2016. The X5 and the 3-series will be out by the end of June and the 7-series will hit the market in the latter half of the year. The X5 40e has a 111-horsepower electric motor and a four-cylinder 245-horsepower engine, with a maximum torque of 45.9 kilogram-meters. It was also accredited in Europe for its 29.4 kilometers-30.3 kilometers per liter of fuel mileage. 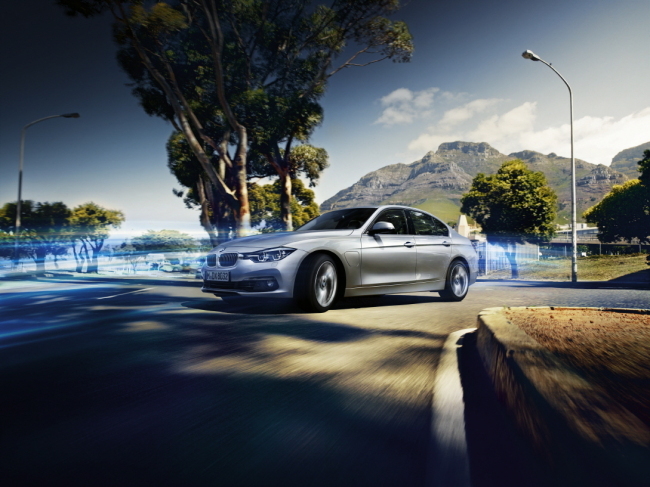 The 330e boasts 252 horsepower with its electronic motor and the four-cylinder engine. It runs 47.6 kilometers-52.6 kilometers per liter, as acknowledged by European authorities. GM Korea will bring the second-generation Chevrolet Volt from the U.S. The automaker said that the car runs 80 kilometers on its battery, and an additional 676 kilometers with its 1.5-liter engine. It runs as a 100-percent battery-powered electric vehicle until the battery drops to a certain level, when it then switches to an internal combustion engine. One of the biggest reasons for the influx of PHEVs is the South Korean government’s subsidization of PHEV purchases. The state will give 5 million won ($4,340) per unit purchased from next year, which is expected to narrow the gap between the gasoline engine and PHEV cars of the same model. Hyundai has already started giving a subsidy of 3 million won ahead of the launch of its Sonata PHEV in September, but expects sales to get a boost when the state subsidy is implemented next year. “We are not 100 perent sure about what the Volkswagen scandal has caused or will bring to the market. People may go for electric cars or will stick to diesel cars that are not Volkswagen. But one thing for sure is that EVs and PHEV techniques are evolving and people are interested,” a marketer for a global carmaker said.